Masala Chai (or simply, Chai) is a strong, heavily spiced tea drink originating from the Indian subcontinent, but popular the world over. In the early part of the 20th century, it replaced regular lightly sweetened, slightly milky, non-spiced tea that the British introduced to India and other colonies in the 1800s. The tea leaves (usually strong, black Assam) and the associated spices have been used in Ayurvedic medicine for ages but were not taken as part of a recreational beverage till the British began promoting the drinking of tea in factories and businesses as a break in the later part of the 19th century. The East Indian locals eventually came to make a tea beverage that was more to their taste than the British preparation. Traditional Masala Chai contains green cardamom pods, cinnamon sticks, ground cloves, ground ginger, black peppercorn, and black tea leaves boiled in a water-milk mixture. There are many versions with other combinations of warming spices. I use three of the traditional spice ingredients in my version. The traditional way of making this beverage is to boil all the ingredients in a pot and then strain the solids out. I use a method that gives me a tea that is spiced to my liking and does not involve a pot, so has minimal clean up. I prefer to crush the dry spices and use fresh ginger. Chai is meant to be lightly creamy with milk and sweetened with a wide variety of sugar based sweeteners. 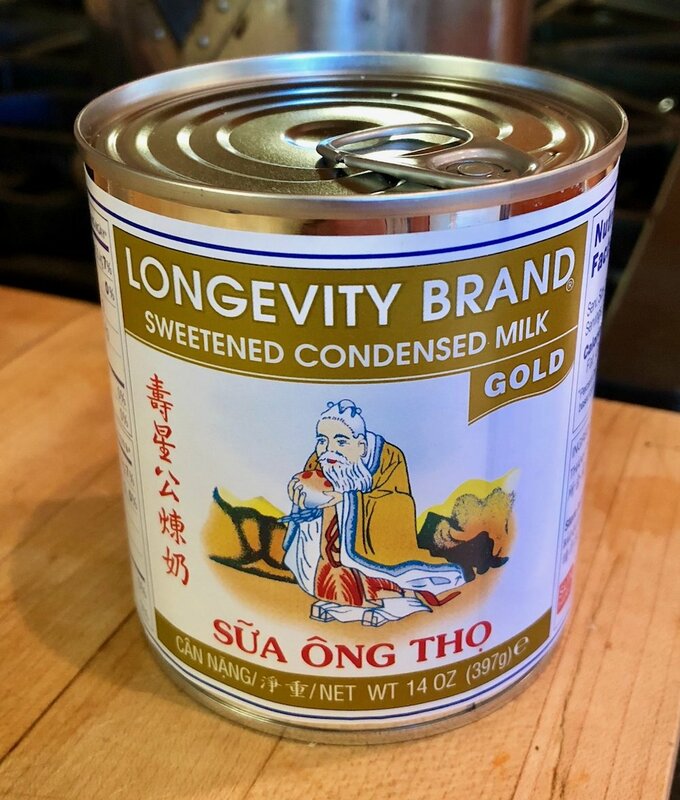 I enjoy sweetened condensed milk and tend to use that to both sweeten and fatten my chai. I have tried heavy cream and sugar, but it does not taste as good to me. Many years ago, a friend served me Chai with low fat milk and ghee (clarified butter). That was the only time I had that preparation and to this day I am unsure what to make of the taste. There are lots of Chai mixes on the market, some with dry ingredients that steep in hot water or milk and some in cartons as already infused liquid milk of various kinds (soy, dairy, almond, …). Personally I don’t like any of the store mixes that I have tried. My “fresh” version has brighter flavors and I am told by friends in the know that Masala Chai tastes a lot better made “fresh”. Besides, if you mix the ingredients together at the time of preparation you can prepare this exactly to your taste. One can drink Chai any time of day as long as caffeine does not bother you. Chai tends to have about one third the caffeine of a cup of coffee, but keep in mind, the more tea you add the stronger it will be. Also, different teas have differing amounts of caffeine. Makes a single serving of chai. You can probably steep the leaves and spices twice. Smash up the cardamom and peppercorns with a mortar and pestle or use the back of a heavy pan on a chopping board. Add this mixture to the tea infuser. Place the tea in the infuser on top the spices. Grate the ginger root directly over the tea infuser so the pulp and juice fall onto the tea leaves. Pour boiling water through the tea infuser and into the mug or glass. Let steep for 5 minutes, stirring occasionally. Remove the infuser from the cup and press on the solids with the back of a spoon to squeeze more liquid into the cup. If you do not have a tea infuser that fits into a mug or glass, then you can boil the water in a pan, add the other ingredients, and steep. You will still need to strain the liquid through some sort of screen. **There are a bunch of other spices that one can use and I am told that every family in India that likes Chai has their own special combination of spices. I have found that if you add cinnamon, less sugar is needed.